Having car issues? 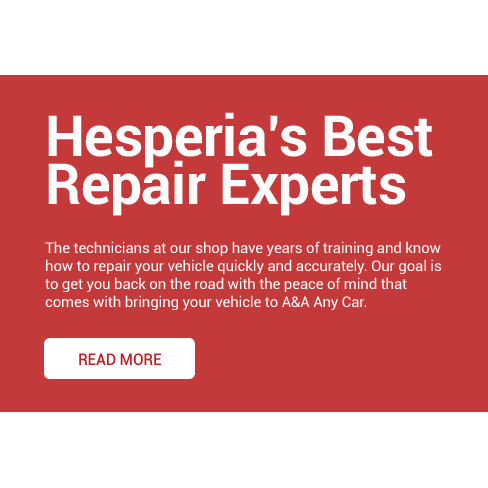 For over 20 years, A&A Any Car has provided reliable and affordable auto repair and maintenance services to the Hesperia, CA community. 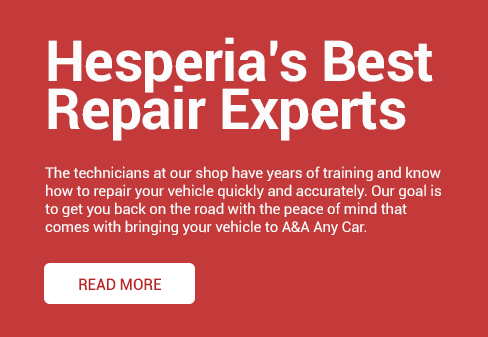 We are happy to diagnose your check engine light, repair your transmission or even come to your door with mobile auto repair services. Please be sure to go to our Shop Specials section for our current promotions and specials. 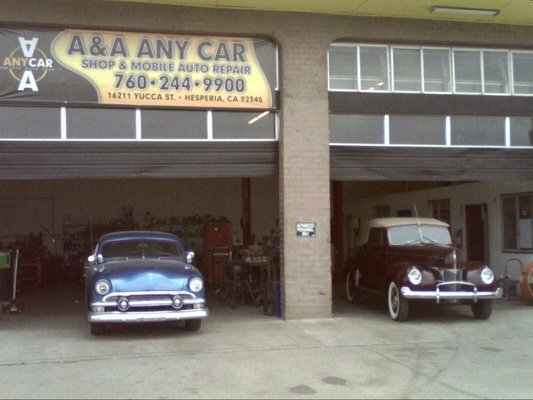 Come by and visit our clean and professional shop in Hesperia, CA. My business is very important to me and I care about my customers. 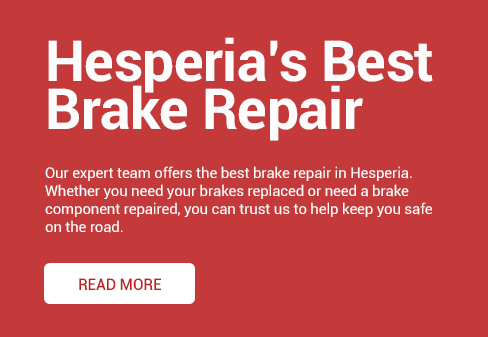 Please allow A & A Any Car the opportunity to serve you with the best in Auto Repair Service in Hesperia! 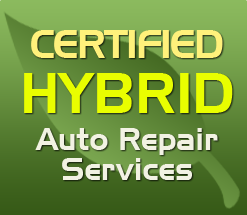 Keep your vehicle running smooth and up to speed with our preventative maintenance services. don't want to leave the comfort of your home? Give us a call!